In case of M.A Mass Communication & Journalism, a candidate shall have to appear in the Entrance Test based on two papers on a single day, with paper I in the forenoon and paper II in the afternoon session. Question paper I shall comprise 60 multiple-choice questions having only one correct or most appropriate answer [in a similar manner as in other subjects] carrying 60 marks as per the syllabus prescribed below for the purpose. Question paper II shall comprise 5 questions, carrying 60 marks, on the topics given below and the candidates shall be required to attempt all the questions in 2 ½ hours. On the basis of their merit in Paper I, Answer books of paper II of candidates numbering four times the intake capacity (both under open merit and reserved categories) shall be got evaluated. Final selection for admission to this programme shall be based on the combined merit obtained by the candidates in Paper I and Paper II. The marks or GPA obtained by a candidate at the qualifying examination shall be considered only in case of a tie. The Question Paper I (Objective Type) for the Entrance Test shall be based on the following nine broad topics, each carrying marks shown against it separately. Paper setters are required to set the required number of multiple choice type questions (each question carries one mark) with only one correct or most appropriate answer separately for each topic, giving uniform representation to the whole syllabus contained therein. Media Terminology – Generally used terms by media- Print and electronic. 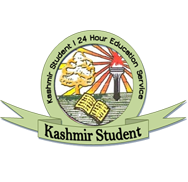 Kashmir Student provides you updates regarding your Examinations, Date Sheets, Notifications, Results from various Boards and Universities of Kashmir. "When writing the story of your life, don't let anyone else hold the pen." 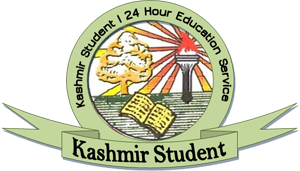 Date Sheet for Annual Examination of B.A./B.Sc./B.Com/BBA/BCA/MCMP/Fazila/B.A.Honours/B.Com Honours I Year (Session April-May, 2015) for Regular/Fresh Private/Additional English Only candidates of Kashmir/Kargil/Leh/Gurez/Tangdhar and Jammu.